Who knew it was so simple to make little charms out of bakeable clay? 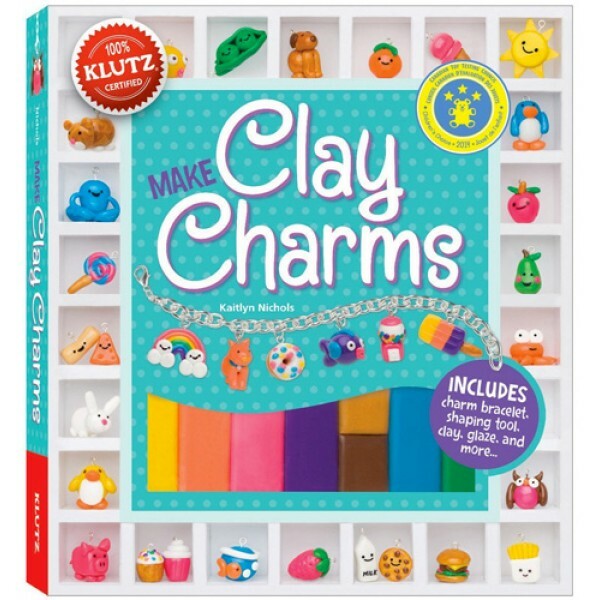 Make Clay Charms features simple step-by-steps for more than 35 designs, including cute fruit, adorable animals, sweet treats, and tons more. 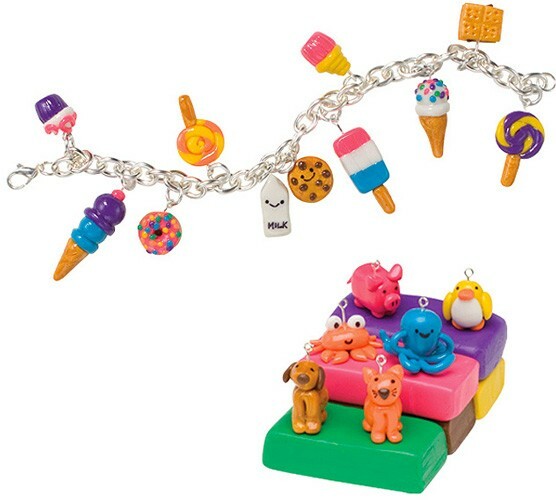 Make them, bake them, add shine (with our specially formulated glaze), and then attach your creations to the included bracelet. 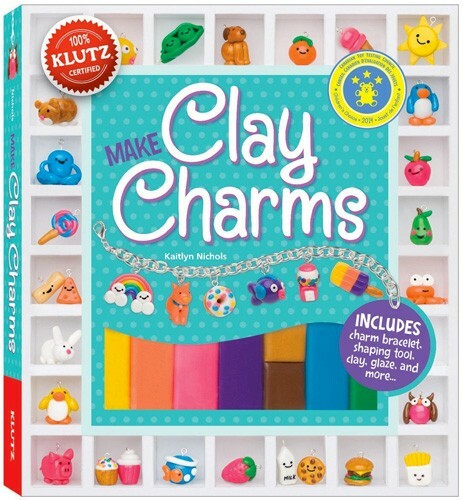 This set comes with nine colors of clay, a clay shaping tool, a glaze with a brush applicator, jump rings, a drying and display stand, and a charm bracelet.